Thank you for the nice report to my short test transmission! I changed my studio equipment and was testing my audio processor on low power. I use a half wave dipole, 2x 11.5 mtrs long with balun. Situated very low above my garden. 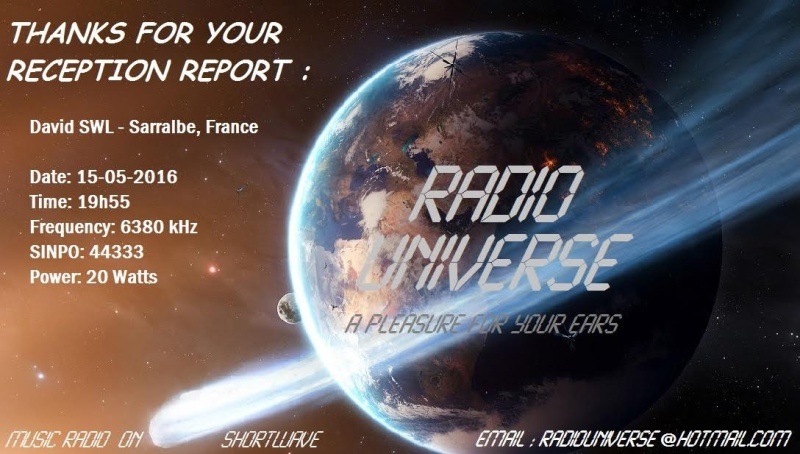 Thanks again and I enclosed my eQSL! Une eQSL bien sympa !